MARIJUANA trees with an estimated street value of $75,000 and 150 seedlings were destroyed by police in Palo Seco district on Wednesday. 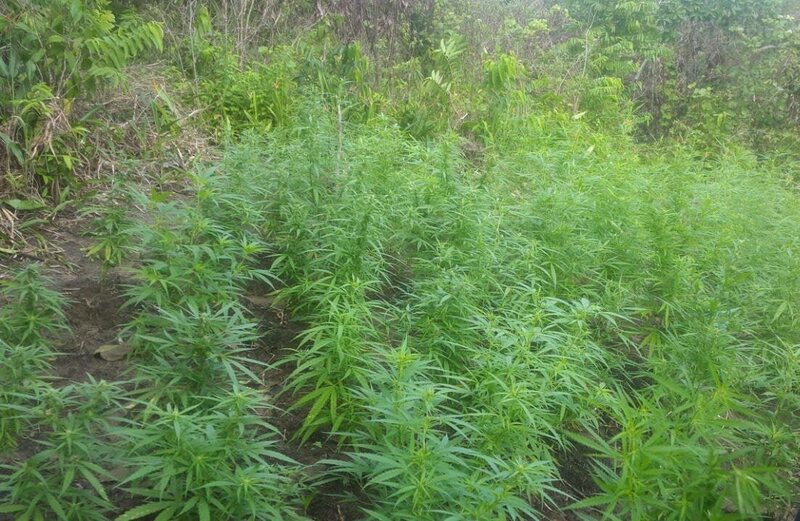 According to a police service release the trees and seedlings were destroyed during a drug eradication exercise conducted by officers of the South Western Division Task Force. During the chase officers came upon a marijuana field with approximately 75 marijuana trees and 150 seedlings. The trees and seedlings were uprooted and subsequently destroyed. In a separate release it was reported that a pistol and a quantity of ammunition were discovered by officers of the Northern Division Task Force, Area Central, during an anti-crime exercise in the Arouca district on Wednesday. The exercise, coordinated by ACP (Ag) McDonald Jacob, spearheaded by Snr. Supt. (Ag) Michael Daniel and supervised by Sgt. Ishmael Pitt, was conducted between 2pm and 7:30pm, on Wednesday. Based on information, the officers proceeded to an abandoned structure located at Windy Hill, Arouca, where they conducted a search. The officers discovered buried in a pile of gravel a black plastic bag containing one Glock 19 pistol loaded with an extended magazine and 84 rounds of 9mm ammunition and 16 rounds of 5.56mm ammunition. Reply to "$75,000 in marijuana trees destroyed in Palo Seco"